The Big Island of Hawaii is one of the most fascinatingly surreal places on Earth. At twice the size of the other islands combined and with only 120,000 residents, the Big Island also offers big time excitement. At its southeast shore, the impressive Kilauea Volcano continues to append an eerie display of additional coastline. At the island’s center, two majestic volcanic mountains—Mauna Kea and Moana Loa—dominate the landscape. Both summits are over 13,680 feet above sea level. Moana Loa—the world’s largest volcano—is more than 32,000 feet above the ocean floor, making it taller than Mt. Everest! Mauna Kea is the largest island-based mountain in the world. There are basically two substantial areas on the Big Island within which to lodge-the environs in and around Kailua-Kona and the Kohala Coast about 30 miles down the road, with its three major resorts the venerable Waikoloa Resort. Also perched slightly above the Kohala Coast is Waikoloa Village, with its array of condos and private homes. Over the other side of the island (about 40 minutes above Hilo) is Volcano Village and the sensational Hawaii Volcanoes National Park. Plan your next Family Vacation on the Hawaiian Islands. We can help with Big Island travel packages that include accommodations, car rentals, golf and all kinds of activities. 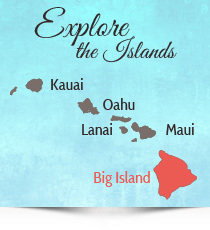 We know the Hawaiian Islands and can give you the best advice on the attractions you want to see. 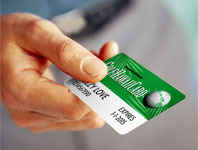 HawaiiGolfDeals is a leader in Hawaii Vacations and we arrange vacations for non-golfers at huge savings. Our knowledge of Hawaii, accommodations, tourist attractions and great travel experiences, ensures you’ll receive an extraordinary level of service and advice. Enjoy the beauty of Maui, Oahu, Kauai and The Big Island. Are you hoping to Visit Kailua Kona, Hilo, Hawi, Volcano Village and other Big Island towns and cities? You can take Hawaii tours, go Hiking, do Sport Fishing, Food Tours, and Sunset Cruises among other fun activities. Make your Hawaii vacation a priority and enjoy a holiday that will revitalize your spirit and rekindle your love of life.